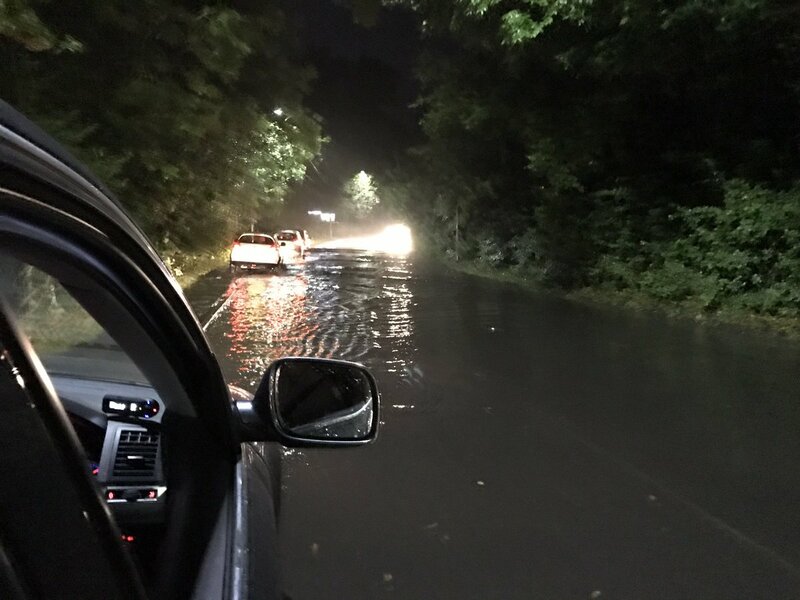 Flooding's still causing issues for the Thames Valley's roads. The biggest problem's on the M4 which is closed westbound at Maidenhead. Homes have been flooded in places like Didcot in South Oxfordshire and in West Berkshire. Business in Newbury were hit, as was the station there. That's now re-opened, but there are still delays on the Great Western Railway Network. Meantime - Southern Electric say around 300 homes in the Reading and Basingstoke areas are sill without power, but that they should be back on soon. 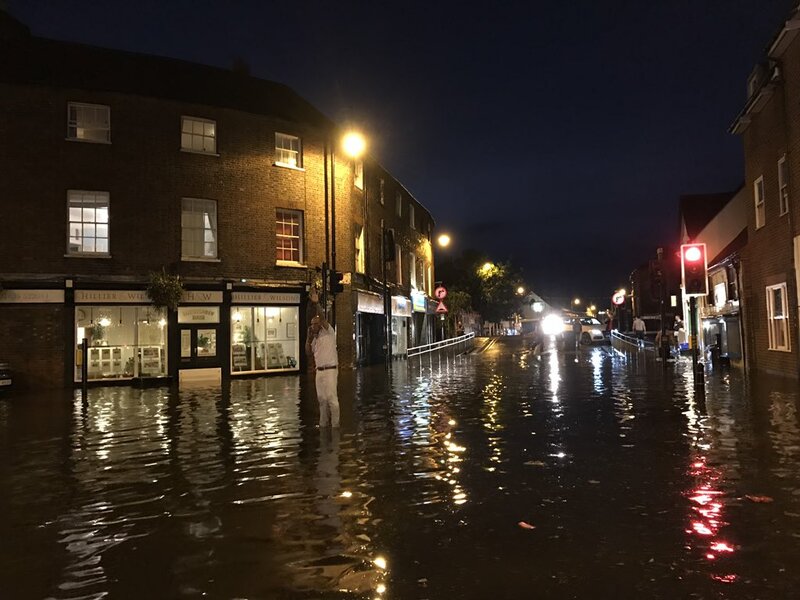 The first storm hit West Berkshire last night (Thursday), with Newbury and Thatcham among the worst-affected. Some businesses and homes were flooded in moments as, what can only be described as an epic storm, rolled in. @DanielgHares caught some of the lightning on video. The road in Newbury quickly turned in to a river after a relatively dry start. In just moment some roads, houses and businesses were flooded. He even had to wade home in his bare feet! This video was captured at around 19:30. Louisa Maher reported from Newbury as the storm rolled over head. Just after the storm, Louisa managed to speak to some people on Pound Street in Newbury. One couple described it as a 'tropical' storm as they currently live in Hawaii and said it was similar to that.